Sisyphus, a king of Corinth and ancestor of Bellerophone, is, in classical mythology, condemned to roll a huge stone uphill, though it always rolls down again. A “Sisyphean task” demands endless and often fruitless labour. Metaphorically, it stands for the absurdity of life and the futility of man’s endeavours or ambition. The Nigerian state and her enormous sense of hubris may be cast in the mould of the Sisyphean tragedy. The Nigerian people themselves are probably a little dis-similar from the Bourbon character (learning nothing and forgetting nothing.) Buoyed by their expectation of their leaders as “miracle workers”, the people privately conceive of their country and their governments as one of God’s unfathomable mysteries. For instance, a major extant task, that of reviving the economy which, going by the way its battered state has been propagandised or rudely expressed, may require a long time to achieve, is popularly or excitedly expected to be rolled back into great fortunes within the shortest possible time frame. The presumed economic philosophy and the ideological disposition of Muhammadu Buhari and his All Progressives Congress are taken for granted and are being banked upon as the magic wand that will do the incredible. Many study group reports admittedly will come in aid of the new government; they bear on fundamental restructuring of the economy whose thrusts tend to restate the requirement not to deploy the key policymakers of old (or of the old school) who are professedly the architects of our long years of economic self-abnegation. A profound understanding of our economic problems and of the strategies for confronting them are being imputed to Buhari and his men. The APC “Change!” mantra is also deemed a veritable Magic Flute or a password for arousing the change fervour even as the party’s cult of admirers is spreading throughout the land. 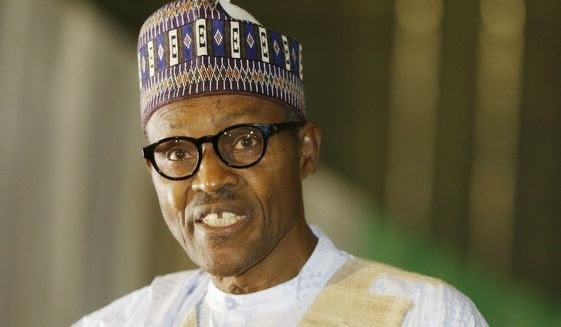 In this period of unrestrained excitement, the party and its teeming members need to be reminded of the Prof. Aboyade maxim, “If you have a narrow diagnosis of a problem, you are bound to have a narrow and limited remedy.” Buhari must convince himself that there is a requirement for an effective mobilisation of ideas through wider involvement of experienced and knowledgeable persons (not party hacks or blood relations) from industry, the academia and the public intellectual pool (including the civil society, etc.) There should be less government antagonism to alternative views in the misconceived notion that all information needed is available to government and to the party. An economic recovery programme, properly so conceived, and based on the widest consultation is the key for exposing the extent of our economic nadir or morass and an open invitation to everyone who can make meaningful contribution to a comprehensive recovery strategy. Mr. Harold Wilson, a former British Prime Minister, is reputed to have pin-pointed or identified “a profound sense of history” as the single, most important attribute or possession of an aspiring British Premier. An intuitive sense of history is deemed an invaluable tool. Our reputation for a collective lack of a profound sense of history in Nigeria is both a significant credit and a damning fault line for us; it is a credit because as we cannot easily recall what went before, we are suffused with innocent, if naïve, confidence for the future. Going by history, the acuteness of today’s economic situation is foreshadowed by a similar scenario during the first coming of Buhari between 1983 and 1985. Unemployment was accentuated by massive retrenchment in both the public and private sectors of the economy. The poor state of the economy produced inevitable redundancies in the private sector even as the economy was on the verge of collapse. Great foresight and an uncanny quality of economic skill were required to restore the economy. The expressed purpose for which the government offered retrenchment as the answer was to reduce the level of the wage bill of the public service so workers’ salaries may be paid more regularly. But government action in that regard did not produce any significant recovery in the economy. Promotion and recruitment into the public service were embargoed even though promotions at the both the lower ranks and officer levels of the armed forces invidiously continued. At a ceremony to mark the conferment of new badges of rank on 15 Brigadiers who were promoted to the rank of Major General, Buhari described the promotion of the senior military officers as “really overdue” even as he called on all Nigerians to “make sacrifices” (a now familiar refrain!] part of which translated into a series of reduction in the fringe benefits of public servants including a 100 per cent hike in the rent payable by senior civil servants for government residences or quarters. In the context of a military administration, this can be explained as a way of ensuring that possible centres of discontent or insurgency within the armed forces are appeased or assuaged. 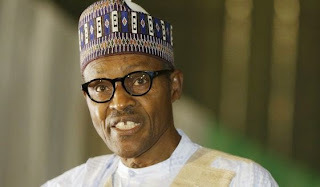 Even though Buhari is reputed to enjoy a good public image or profile regarding incorruptibility and has assured the nation during his campaigns that corrupt officials and their agents will be brought to book, he must not allow public discontent to be expressed concerning a perceived favouritism or un-even handedness as may be possible with respect to dealing with many of his political associates who are believed to be reeking in stupendous ill-gotten wealth amassed during their tenures in office. The recovery of public property stolen by public officials must be wide-ranging to include huge sums of money in foreign exchange illegally held abroad, etc. For the incoming leadership to inspire confidence and following, it must itself be seen to be composed of people of transparent honesty. It must also be seen to act honestly in such a way as to inspire public confidence. The root of the decay of the Nigerian body politic include double (or multiple?) standards of public morality or behaviour, differing rules or laws for different classes of people, etc. The sincerity of purpose of policy and action must not be allowed to be put to the test for it may cause untold dismay among an already enthusiastic people that have mobilised themselves or enlisted in the new or envisaged ethical framework. Policy issues must not be handled in a manner that may subvert public confidence or bring “open government” or “public accountability” to public ridicule or odium. Open or even covert breaches of the policy objectives of government will invariably attract open public defiance, quiet rage, opprobrium seething frustration, etc. The controversial 53 suitcases which passed through “the eye of the needle” in the throes of the WAI campaign on April 27, 1984 is a case in point or is a festering sore point. The war to replace indiscipline in leadership with discipline, responsibility and accountability is Herculean. But it can be made easy by an attitude of leadership be example. So much is expected from the Buhari Presidency. Joyfully, the “Sisyphean task” in the assignment is made less irksome by a general sense of revulsion at the excesses of a marauding, buccaneering political ruling class, the plaintive pleas of a distraught people, and the proverbial Spartan will on the part of the new helmsman to surmount the odds.